Chinese New Year 2019 Decorations Lee Tung Avenue, Hong Kong, China. Description: January 5th, 2019. 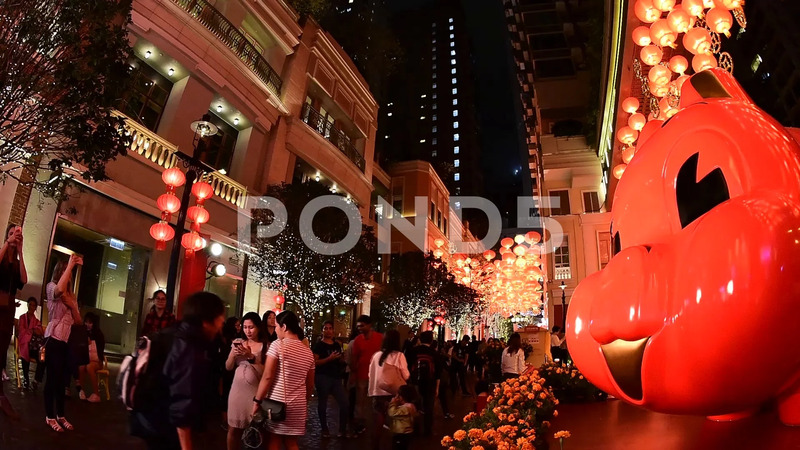 Decorations lit up for the first day of Chinese New Year of the Pig 2019 at the Lee Tung Avenue, the new urban renewal development in Hong Kong, China.